Great news to all bookworm out there! 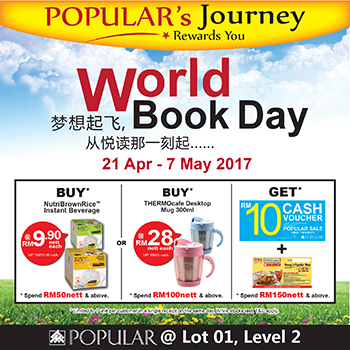 World book day is happening at Popular Bookstore in Paradigm Mall. For more info, please refer to the advertisement attached.